How to Check Google Rankings for Keywords(Accurately)? 1- Check Your Rankings after logging out of your gmail account. You will get different results if you check your rankings logged in to gmail and logged out of gmail. This is called "Personalized Search". If you are logged into your gmail account then Google would check your browsing history and rank those sites higher whichyou have visited in the past. This would not provide accurate rankings. 2- If you want to see Google rankings with respect to a particular server location then install Google Global Plugin and check your rankings accordingly. Suppose, you need to check the rankings in Google USA from India then you need to search with your keyword on Google and when the Search Engine Result Pages (SERP) gets displayed, you need to click on USA with the help of your Google Global Plugin. This would take you to Google USA servers from India. Compare the results and you will see the difference in them. 3- Google shows different results when you change the settings of displaying the number of search results per page. By default, Google displays 10 results per page but changing this setting may allow you to see upto 20,30,40,50 or 100 results per page. 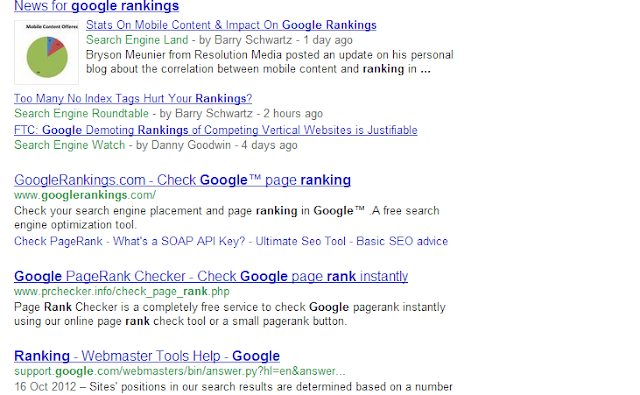 Changing the default search settings result in the display of different rankings. Make sure you have cleared cache before checking your rankings.